Can I Use a 144Hz Monitor for Xbox One Gaming? What's a good monitor for Xbox One and a gaming PC that can also support cable? Can You Get Ultrawide Monitors for Xbox One? What If Your Monitor Does not have an HDMI port? Xbox One is obviously one of the best entertainment systems around. The problem is if you do not connect it to a quality display, you will have basically wasted its potential. Therefore, making a smart investment by choosing one of the best gaming monitor for Xbox One 2018 is a wise decision. The good news is that a typical gaming monitor for Xbox One is quite cheap so long as you stick to the requirements. All you need is a monitor that has FHD resolution, 60 Hz refresh rate, and an HDMI port. You can go for any size you wish. Just remember, the larger the size, the higher is the price tag. There are dedicated console gaming monitors; however, since the requirements for Xbox One aren’t demanding, any budget monitor would do just fine. Other than the size of the monitor, you have a choice between TN and IPS panel. TN is older technology which promises faster response time. Whereas, IPS is a newer technology that has better colors and viewing angles. They both cost almost the same. This article lists some of the best console gaming monitors that you can buy in the market. Choosing a gaming monitor for Xbox One from various options in the market is a tedious task. For your ease, we have prepared a list for you providing you with the best current options. Note that this list only has the best gaming monitor for XBox One. If you are looking for best monitors for Xbox One S, your choice of monitors will be different. Xbox One S supports 4K resolution. Those monitors are generally much more expensive. The greatest attraction of this monitor is the 32 inch screen size. On top of that, this is a budget monitor. This monitor costs almost as much as a decent 27-inch monitor. The benefits of having a large screen monitor for console gaming are obvious; you can sit at a distance while playing your games. With smaller monitors, you need to up close in order to enjoy. If you are choosing between a TV and a monitor, then this is a great choice that fulfills both the needs. Plus, if you are thinking for TVs being cheaper, know that FHD TVs of this size generally cost the same. If you are primarily choosing this over a TV, it would be important to note that it does not have a tuner. You will have to get separately for channels. The monitor obviously has better response times and lower input lag as compared to a TV. Furthermore, if you look at this through pure monitor perspective, it has an awesome feature at a very affordable price tag. It is wall mountable, has an IPS panel, and a huge array of connectivity ports. You can use its screen split function to comfortably view multiple windows side by side. Greaat for gaming if you like large screen. Has a better response time and lower input lag as compared to TVs. Offers a USB Hub and VESA mounting capability. Does not have a tuner like the TVs. Working up close could become uncomfortable and tiring for the eyes. 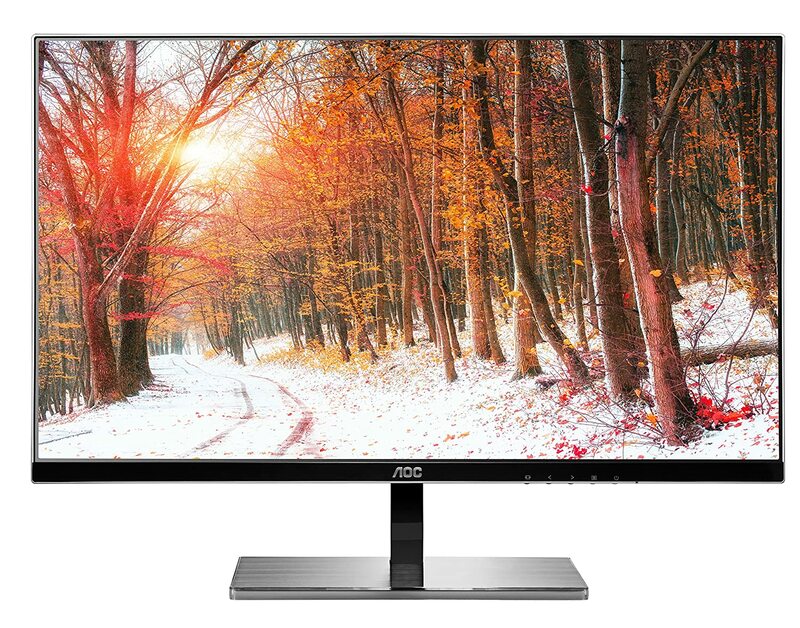 Coming with a 27” screen to give you a frantic experience, the AOC i2777fq has an amazing beauty about it. It is classy and has all the necessary bells and whistles to game with XBox One. Thanks to IPS panel, you can definitely get one of most stunning visual quality. If 24 inch monitor is too small for you, or if you do not think 32 inch monitors are feasible, then this is a great choice of monitors. However, you should realize that FHD resolution on a 27 inch monitor isn’t the most desirable should you choose to use it with a PC too. The monitor is enclosed with two HDMI ports that are a plus point for gamers as they can easily connect more than one device on this monitor. As far as 27-inch monitors go, this is the best gaming monitor for XBox One. However, this is not the cheapest 27 inch monitor in the market. This stands with its connectivity options and its frameless design. FHD may not be the most ideal resolution for a 27 inch monitor if you plan to use it for PC as too. If affordability is your primary concern, then this is monitthe or to get. Granted it does not have a large screen; however, if you are going to game sitting in front of the monitor, then it should be quite comfortable. Having numerous ports such as HDMI, D-Sub, and DVI-D, this monitor can not only connect to your Xbox One easily but also to your PC at the same time. This monitor has a response time of 5 ms, which is quite decent for an IPS monitor. It has a very slim bezel too which adds much to the looks. Note that this is not a 24-inch monitor, it is a 23-inch monitor instead. 23-inch monitors are generally cheaper than 24-inch counterparts but deliver almost the same quality of visuals. The size difference is also quite marginal and not too noticeable by the eye. This monitor is built for gamers. It not only looks like a true gaming monitor, it also has specific technologies that cater to gaming such as Black eQualizer. You should also know that BenQ monitor is the most widely used monitors in gaming tournaments. So if you are questioning their quality, don't. They are the staple option for most gamers out there. Not just PC gamers, but console gamers too. Also, you should know that this is not the cheapest options for a 24 inch gaming monitor available. However, it is quality. Paying around two hundred bucks for a quality monitor like this for gaming is one of the best bargains out there. Instead of an IPS panel, this monitor feature a high-end TN panel. With this, you get a response time of 1 ms. For competitive gaming, this is a must. Gaming grade monitor at a very affordable price tag. Used heavily in eSports. The fastest response time ensures a very smooth gameplay. Has a wide variety of connectivity options. More expensive than a standard 24 inch monitor. If you are looking for a the cheapest, yet quality, 24 inch monitor for gaming, then this model should be on the top of your list. 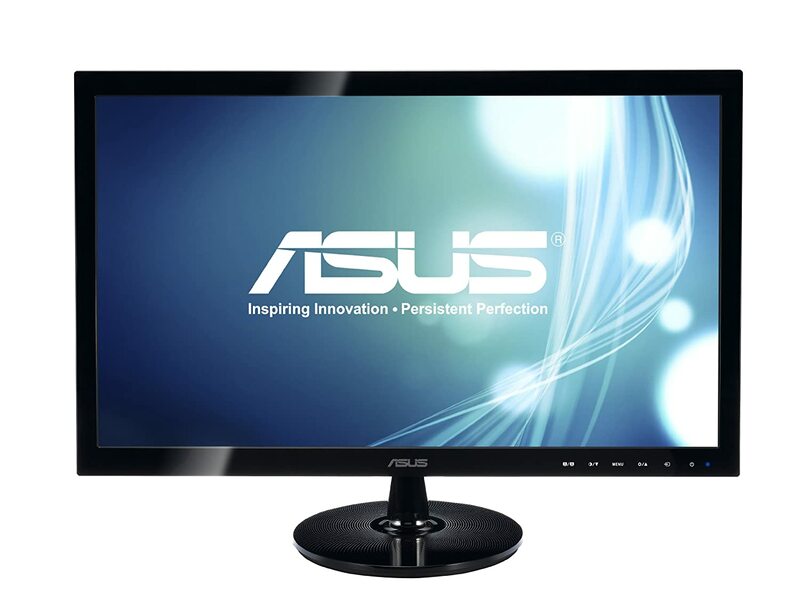 Note that this monitor has received almost flawless reviews across 5,000+ customer reviews. This should tell you something about the quality of this monitor. 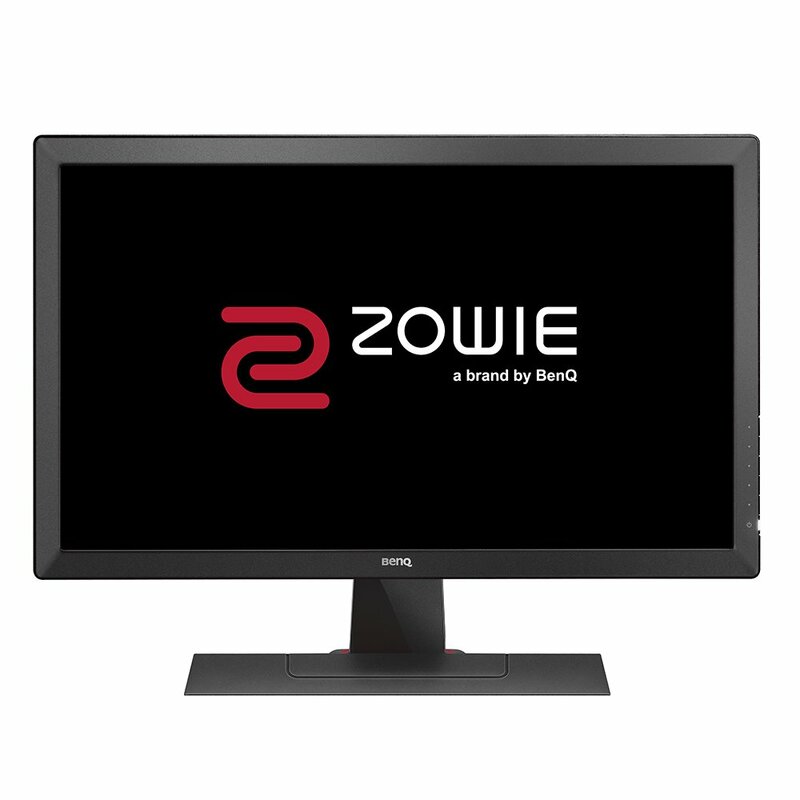 Granted the BenQ Zowie 24 inch gaming monitor is great looking, but it is not the cheapest one. 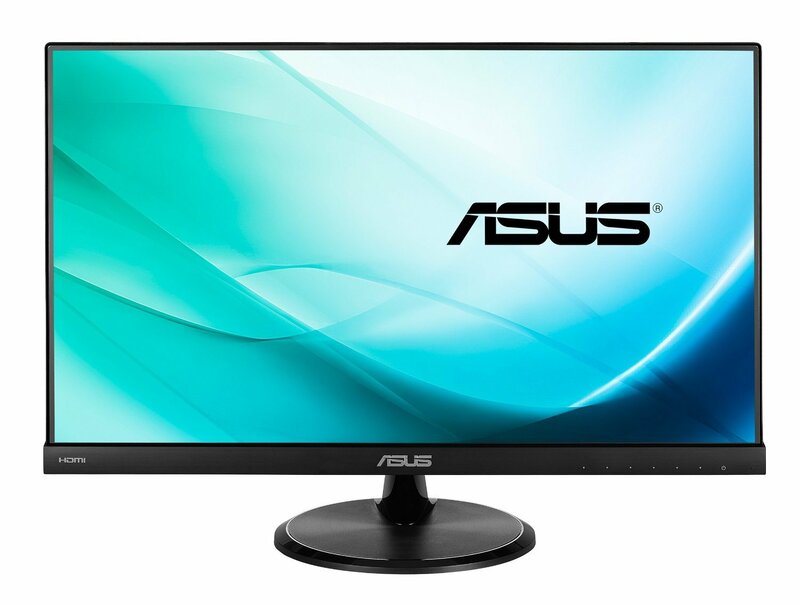 If you do not wish to pay that much for a monitor, then ASUS VS248H-P is a great choice. This monitor offers a 2 ms response time, which is not the fastest, but it is faster than any IPS panel monitor. Furthermore, it has great connectivity options such as HDMI, D-Sub, and DVI-D. In any case, your primary reason for purchasing this monitor should be to save up on the money. One of the most affordable gaming monitor for xbox one. Offers a pretty fast response time for its price. Has received great reviews from a huge buyer base. A bare minimum monitors; does not offer much in terms of gaming modes. The TN panel is not of the highest quality. 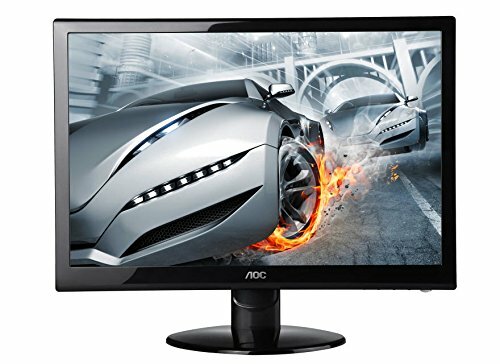 Recommended for serious Xbox gamers on a budget, this is one of the cheapest 27 inch monitors in the market. Hands down the best features of this monitor are its price and connectivity. For a price of above a hundred bucks a bit, you get a VGA and 2 x HDMI ports, that too on a 27-inch monitor. The 2ms response time is not the fastest for TN panels; therefore, the TN panel used in this monitor is not of the highest quality., it sure is faster than any IPS panel. However, compared to an IPS panel, the monitor has a faster response time than the most expensive IPS gaming monitors. For those of you who are wondering if they can hook this monitor up on a wall or a separate stand, well you most certainly can as it comes with VESA mounting holes. Offers a faster response than any IPS panel monitors. Has a decent arrangement of connectivity options. Not very aesthetically pleasing. It has a simple design with large bezels. The TN panel is not of the highest quality. The best quality TN panels have a response time of 1 ms or less. This one has 2 ms response time. This monitor has the most bizarre feature any monitor could offer that is its curved LED display. Ofcourse, the first thing that pops into mind is that it would be an expensive monitor. 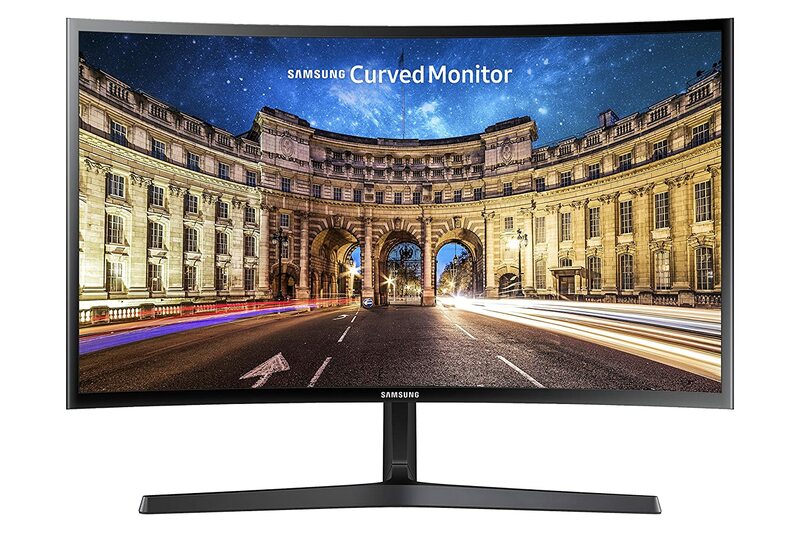 Although that is true in the sense that it is the most expensive monitor in this list, however, for a 27-inch curved monitor, it is still quite affordable. Plus, we wouldn't list this monitor here if it wasn't budget friendly for the Xbox One users. Why get a curved screen monitor? For starters, it gives you the bragging rights and it looks very cool. Secondly, it enhances the immersion and experience for gaming. What is even more exciting is the fact that is a 27 inch VA panel monitor. VA panels, unlike TN and IPS panels, have a much higher contrast ratio. To be specific, the static contrast ratio on this monitor is three times as much as that on an IPS or TN panel monitors. Furthermore, for an affordable monitor, this monitor does have a fairly decent response time. I wouldn't call this a budget monitor, bt it is affordable if you consider all the features that it offers. Curved screen looks beautiful and enhances immersion. VA panel offers three time more static contrast ratio as standard monitor. The most expensive monitor in this list. Not meant for all sort of gamers. Does not offer VGA or DVI ports. You most certainly can. We wouldn't advise you to get one as you will have potentially wasted your money, but if you already have one, then you should have no issues. Again, it is imperative to note that if you do not own a 144Hz monitor, then do not get one for Xbox One. Xbox One is capped at 60 fps. Therefore, getting a higher refresh rate monitor will not help. What you are looking for are HDTV monitors. These monitors have built-in tuners so they can support cable. However, they are not professional gaming monitors. With the current generation of console games, it is not advisable to get Ultrawide monitors. Your images will basically get stretched should you choose to play it on 21:9 aspect ratio. It will look ugly and would even cause headaches. You can choose to play it at 16:9 aspect ratio by changing the settings, but then the picture size will smaller than even a 23" monitor. Ultrawide monitors are great for PC because the resolution gets adjusted through in game settings. The current gen consoles; however, do not have this feature. Knowing the required specification for a monitor is a must if you are primarily going to connect it to a gaming console. Consoles have a set of limitations, and if any monitor exceeds that limitation, then you will have basically wasted money on features that are not supported. Xbox does not accept any monitor with a resolution more than 1920 x 1080P. So if you do not want to use your monitor for any other purpose, going for a monitor more than the stated resolution is a waste of money. Yes, there are several amazing high-resolution monitors such as WQHD and UHD monitors that you may be tempted to go for. However, with the Xbox One, that is just not possible and you would be wasting your money. If you have XBox One S, then you can invest in a 4K monitor. When selecting the screen size, go for monitors with widescreens with 16:9 aspect ratio. Do not go for aspect ratio that exceeds this limit like 21:9. Traditionally 24", and 27" monitors were thought to be the most affordable options as the gaming monitor for Xbox One. 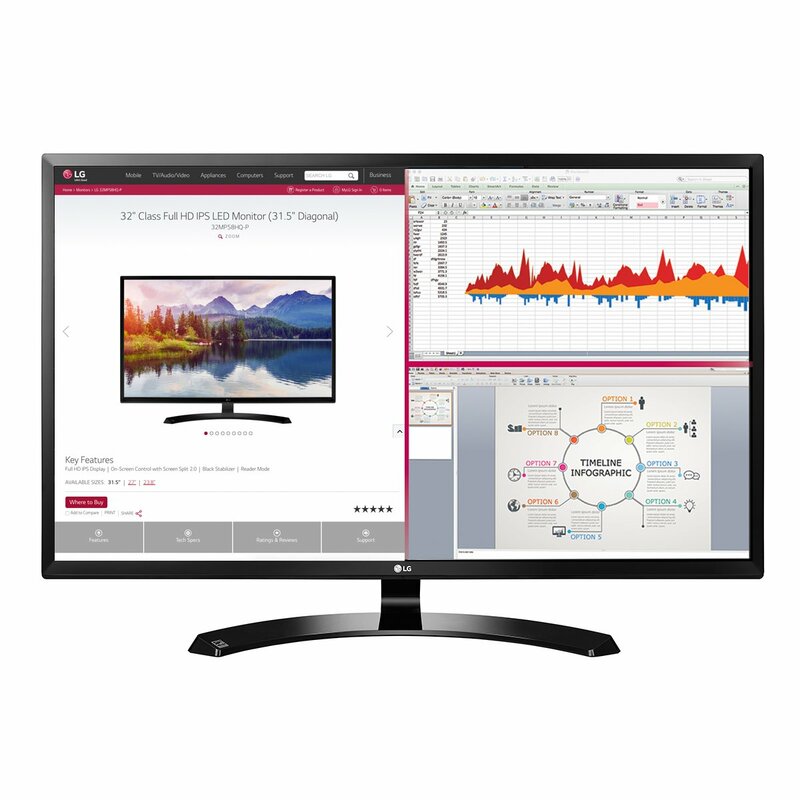 However, now you can even get 32 inch monitors at a budget range like the LG 32MA68HY. Summary: Do not exceed FHD resolution. The choice of the screen size depends on whether you are going to sit at a distance and play or up close. You can get 23″ – 32″ at an affordable price. Most monitors do have integrated speakers with them, but if you want to enjoy your game with the best experience, having a good sound system is the perfect key. This is basically the biggest reason why console gamers are tempted to go for TV instead because TVs generally have nice speakers. TV speakers are much better than monitor speakers any time any day. Therefore, yes there is a trade off between a better visual quality for a lacking sound. However, most of the monitors have audio out which you can easily connect to a budget stereo set of speakers. A good gaming monitor along with a decent set of speakers will, in the end, cost you much less than a TV. Summary: There is trade-off in terms of sound between TVs and Monitors. TVs have better sound. Most monitors do not even have built in speakers. You will need to invest in a set of speakers. There are three types of panels types that you can go for. IPS, TN and VA. The most common ones are IPS and TN. The cheapest ones are TN panel monitors. They are the oldest and have the fastest response time. IPS has better colors and widest viewing angles. They are slightly more expensive but are replacing TN panels monitors across the board. Their drawback is a slower response time. VA panels are the most expensive, but they have highest contrast ratio. They are rarely considered for a budget monitor. However, if your budget allows, you should consider these monitors. Opt for a gaming monitor for Xbox one having a refresh rate of not more than 60 Hz. There are higher end gaming monitors that feature 120 Hz, 144 Hz, and even 165 Hz; however, Xbox One does not support those refresh rates. Also, make sure that your new monitor has at least one HDMI port. Most of the monitors have multiple ports, but you should make sure that your new monitor should have at least one for your Xbox One. Summary: HDMI is highly recommended else you will to invest in an adapter. Get a monitor with no more than 60Hz refresh rate. Connecting Xbox One to a Monitor? Connecting your monitor with Xbox is fairly simple. Here are the steps that you need to follow in order to connect and adjust your monitor display. Use your HDMI out port that is located on the left back of your Xbox One to connect it to your PC monitor. It is defined as HDMI Out to TV. If you are a gamer using a sound system, you need to use the Optical Audio port in the back that should be glowing red. If your sound system does not have Optical Audio support, then you need to get a converter. After turning your Xbox One on, everything should be working fine by now. But if it does not, then contact support for Xbox One. Well, then you will need to make a small investment. So for example, if your monitor has a VGA port, you will need to get an HDMI – VGA adapter. Similarly, if your monitor only has DVI port, then you will need to get an HDMI – DVI port adapted. The video above shows a typical example of an HDMI to VGA adapter that you can get for very cheap in the market. You simply plug in the HDMI end on the Xbox One and you connect the other VGA to the monitor’s VGA cable. You would do the same thing with DVI port. A gaming monitor for Xbox one is basically a low-end gaming monitor. In fact, any low-end monitor with the required specs would do just fine for Xbox One. Why? Because Xbox one, like the PS4, has limitations. It cannot go beyond FHD resolution, and it cannot go beyond 60 Hz refresh rate. So there is no point in investing in a supremely expensive gaming monitor only to find out that you can't reap the entire benefits of your monitor. Your focus should be on the size that is most comfortable and also, if your budget allows, get something that has great colors.